I did say that Twix bars were popular but I promise this is the last example of them. 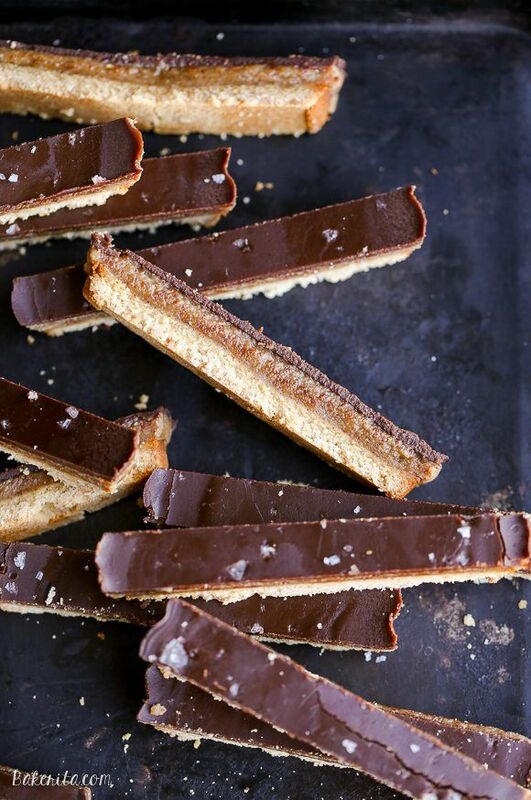 The recipe for the bars comes from bakerita.com and it manages to be a paleo and gluten free recipe, as well as a vegan one. The recipe is even free from refined sugar, which makes it a winner all around. The finished product does resemble a slice more than a traditional chocolate bar but whoever said this was a bad thing? In fact, this approach would probably let you taste the individual flavors of the bars more clearly. 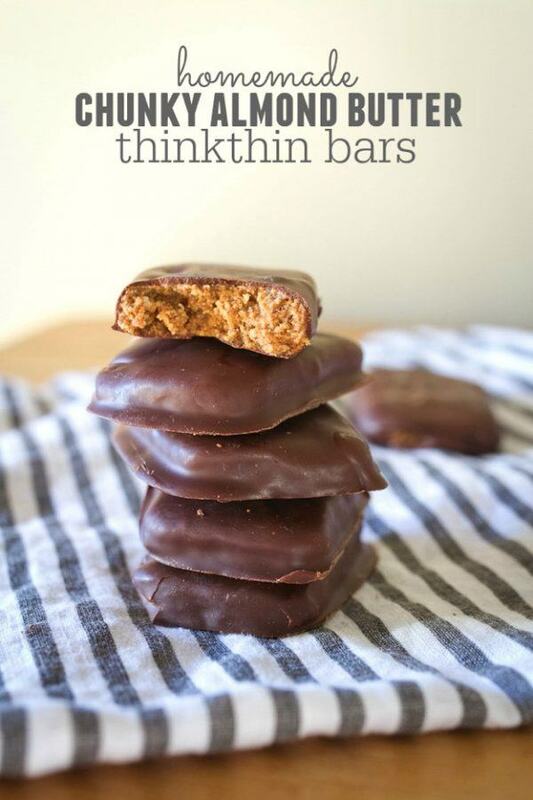 These homemade thinkthin bars come from eatingbirdfood.com and they’re a little bit different than many of the other vegan chocolate bars on this list. With this recipe, the creator takes the combination of peanut butter and chocolate but uses it in a recipe with a different texture and appearance than what we’re used to. The bars are actually really healthy (especially if you skip the chocolate) and they’re even a good source of protein. 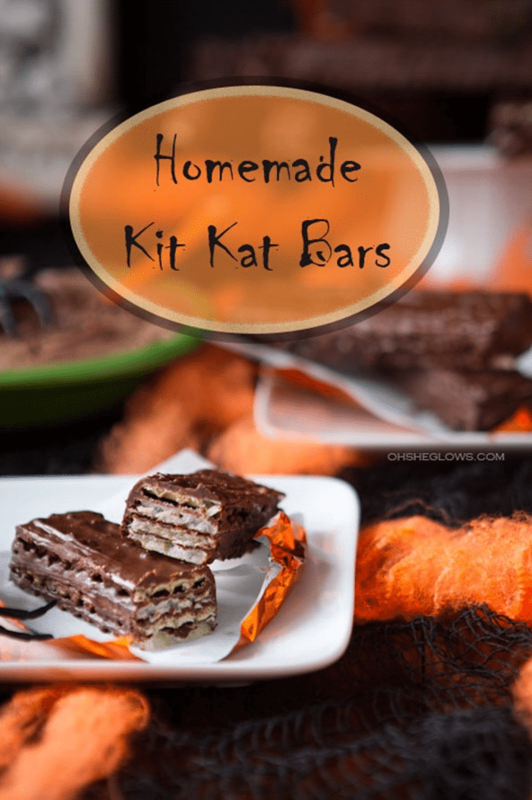 I think this recipe does an amazing job at recreating the structure of a KitKat bar, which certainly isn’t easy to do. As you can probably imagine, making the bars does require a bit of work but the end result is completely worth it. In the recipe, at ohsheglows.com, the creator also offers step-by-step visual images of exactly what to do, so you don’t have to worry about getting confused or missing a step when you’re trying to make them. 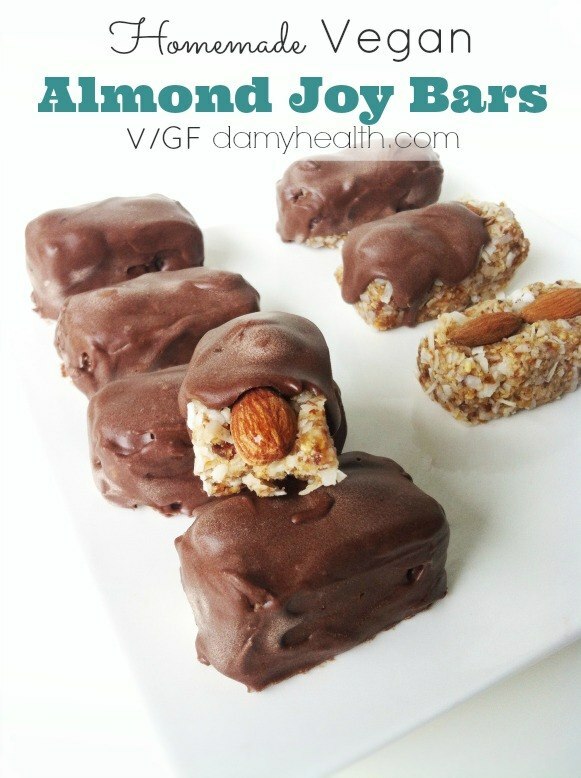 This final example of an almond joy bar comes from damyhealth.com. As with most of the recipes on this list, it focuses on using healthy and whole ingredients, which is appealing. Because of the way the chocolate is made, this is also a raw recipe, so it would work just as well for anybody on a raw diet. 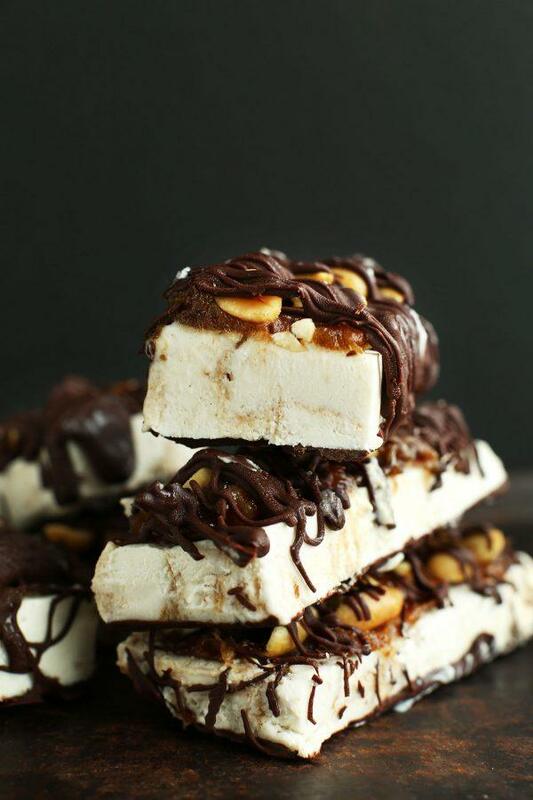 An ice cream snickers bar doesn’t sound like it could possibly be vegan, but minimalistbaker.com does always manage to create amazing recipes and this is one example. The ice cream in the recipe is a sea salt caramel recipe that also comes from the same site, although you could use other vegan ice cream if you preferred. I absolutely love the way that these bars look when they’re finished and they would be just as appealing as ice cream snickers from the store. However, these ones are certainly healthier and you don’t have to worry about processed ingredients. I had to include these bars in the list, mostly because they look amazing. Admittedly, the chocolate bars aren’t really inspired by any traditional bar that you might eat but the flavor choice makes them sound especially appealing. 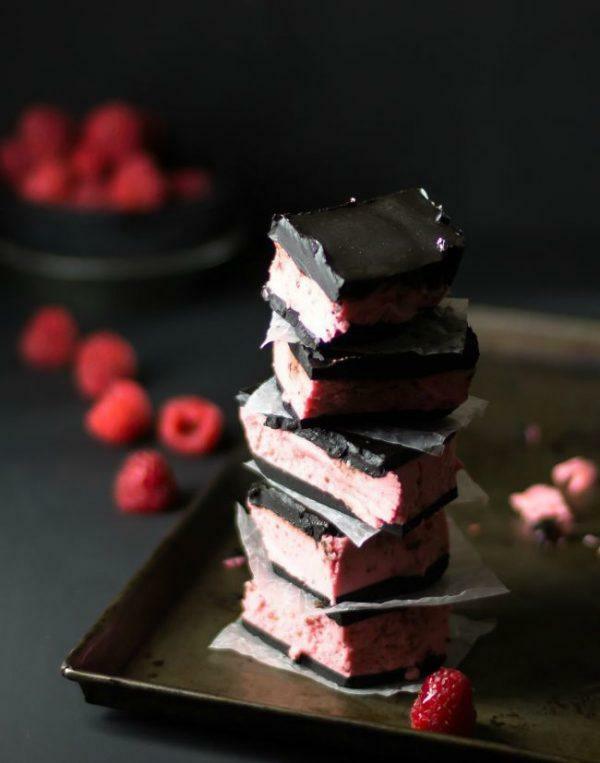 Now, it might just be me, but I always think that raspberry is one of the best flavors to combine with chocolate. You can find the recipe for these bars at eathealthyeathappy.com and they really are worth trying.